It was so beautiful when we woke up this morning. Everything had a few inches of fresh, untouched snow. Cold + January = comfort food. I confess, this recipe isn’t low cal. I also confess that I didn’t make it tonight. I opted for family time and spaghetti with jarred sauce! 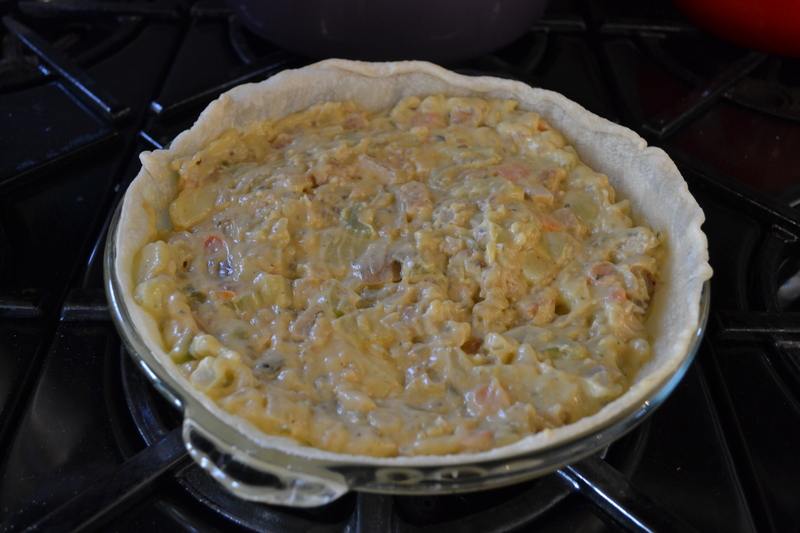 Not that veggie pot pie takes a ton of time to make, but Wednesday nights somehow lend themselves to whatever we can make in 10 minutes or less. Bake your “chicken” as directed, dice, and set aside. 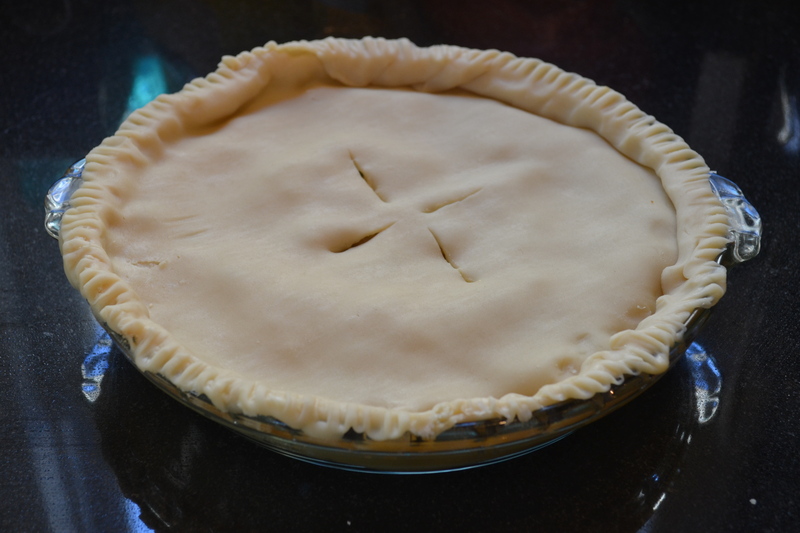 Place your bottom dough in an ungreased pie pan and bake for about 5 minutes. 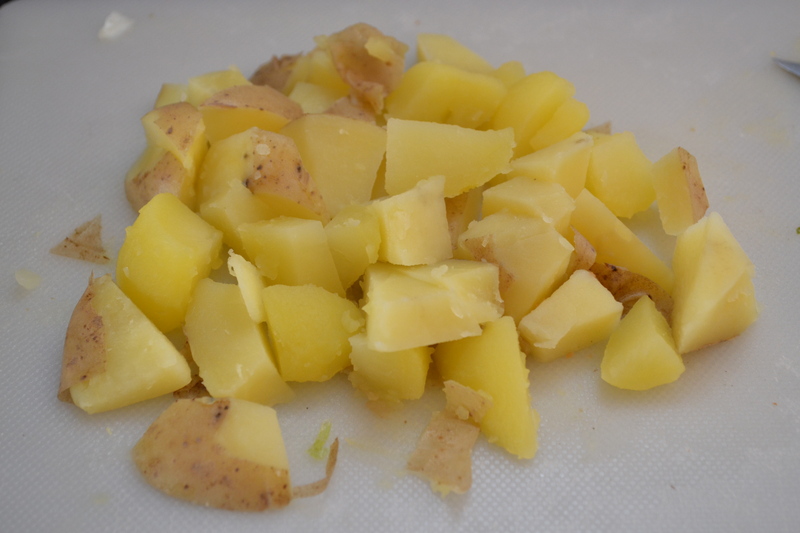 Boil potatoes until they are cooked but still firm (think potato salad firm) and dice. 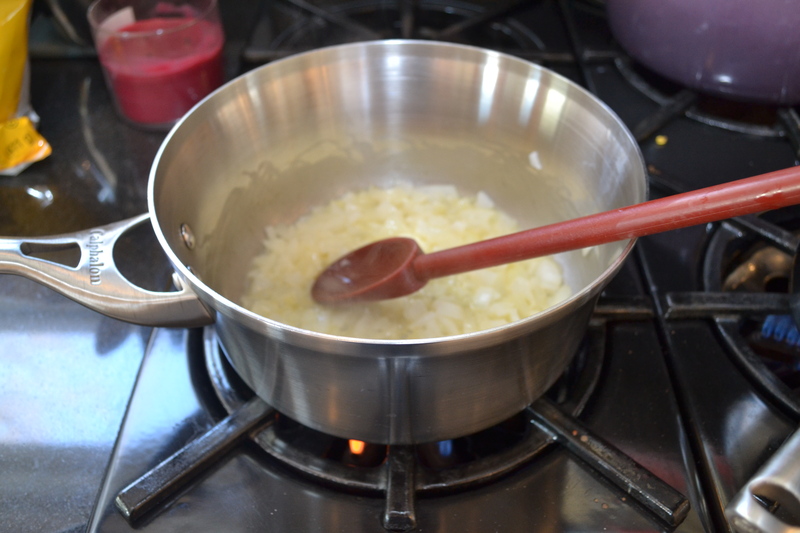 Chop and sauté your onion for a minute in 2 tablespoons of margarine. 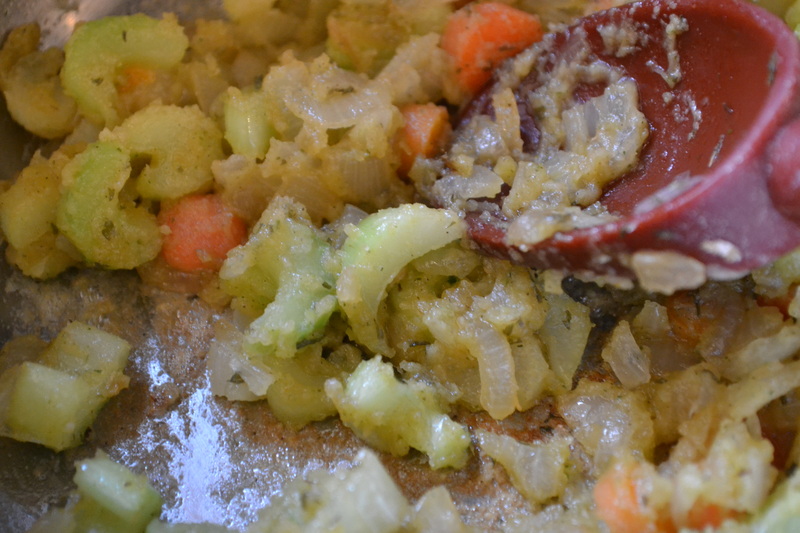 Add in celery and carrot for three more minutes (it is OK if they are still a bit crunchy). 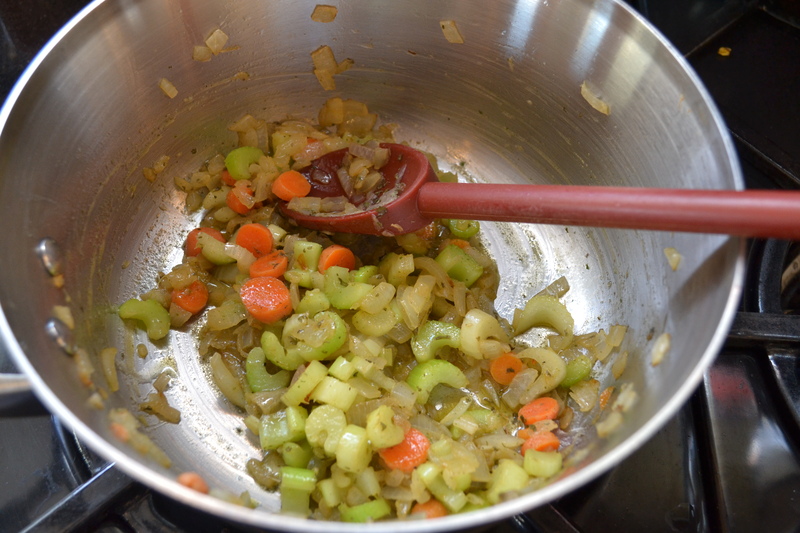 Add 1 bouillon to your onion, carrot, celery mixture. Add the poultry seasoning and herbs. 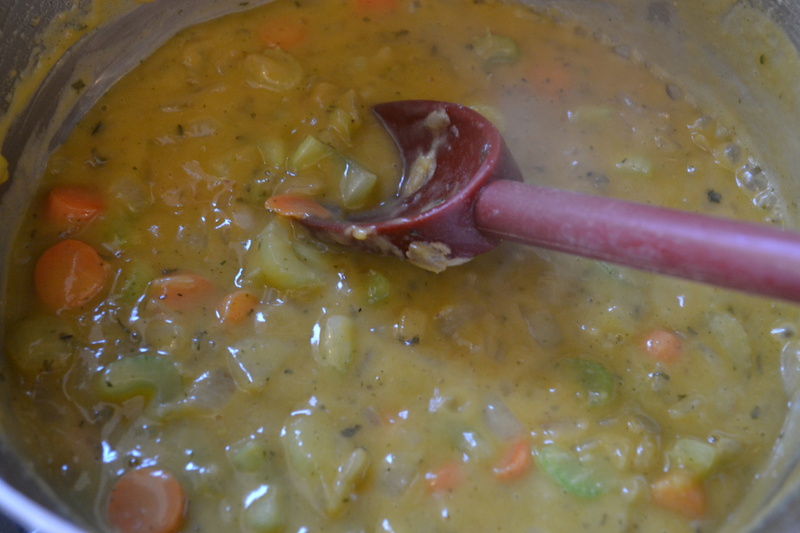 Once the bouillon is dissolved, add flour and let bubble for one minute to create a roux. Add 1 cup of veggie broth and stir. 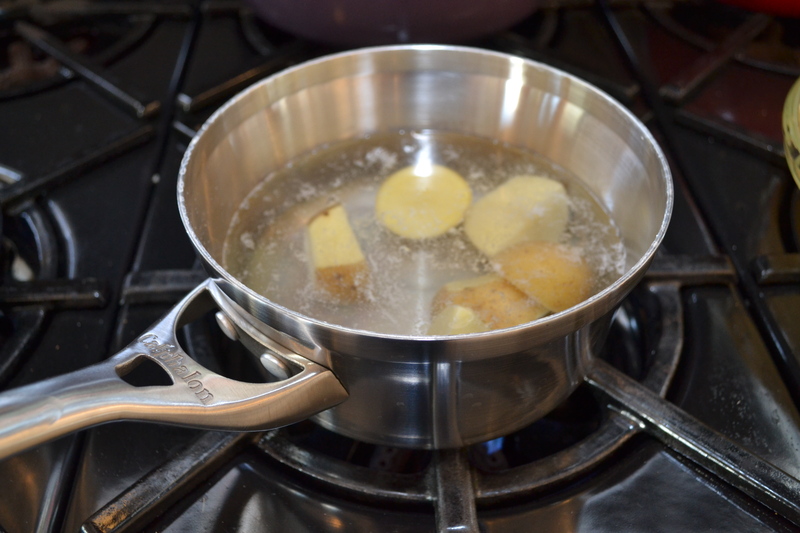 You’ll have a gravy-like mixture. Add the cream of celery soup, a pinch of salt and pepper, diced tomatoes, and the diced “chicken.” Stir. 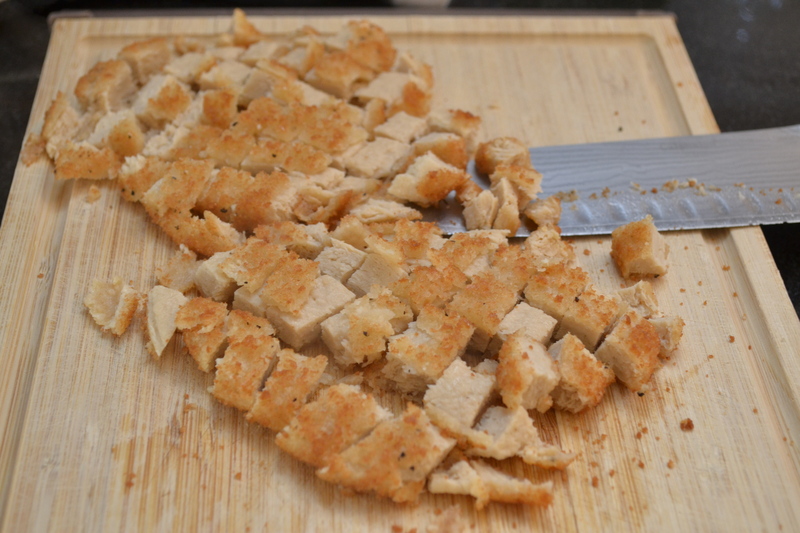 Add to your pie crust. 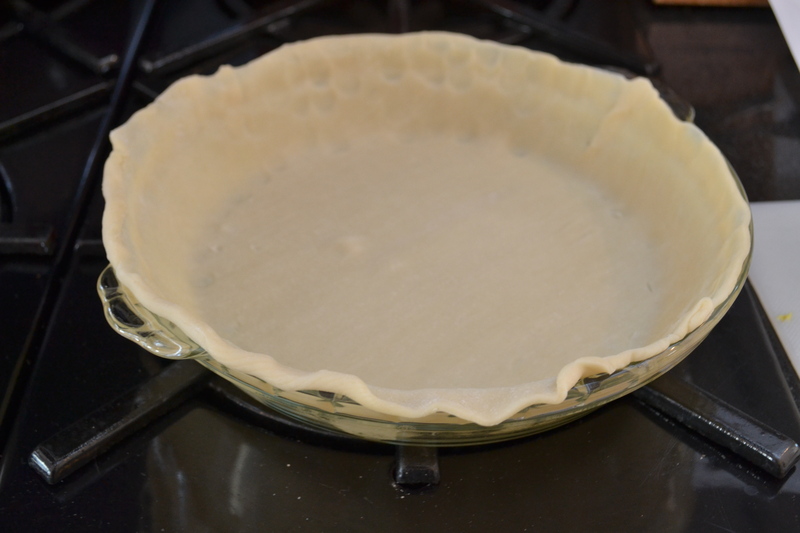 Put the top layer on your pie crust. Bake for 35 minutes, checking frequently to make sure your edges aren’t burning. 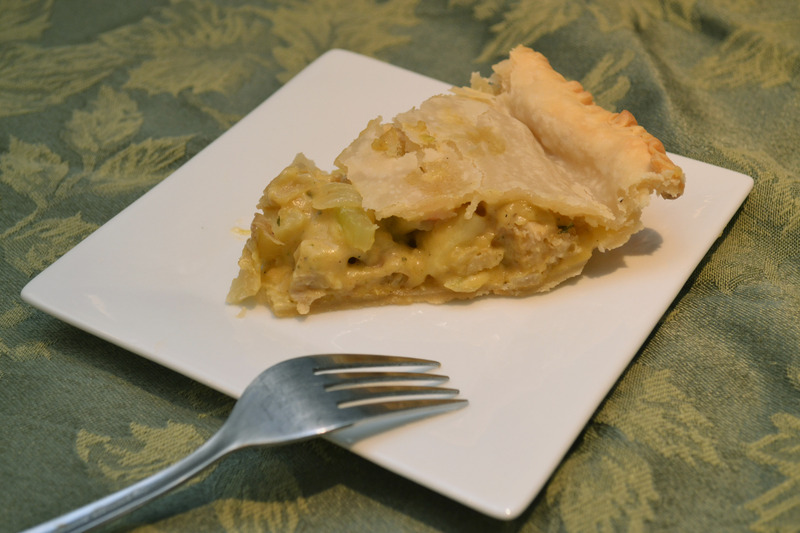 You can wrap the edges of your pie with foil for the first 20 minutes to prevent this. It’s really good. We even put a small slice in the blender and gave it to Anderson for dinner. He loved it. PS Check out those snazzy new pots, an awesome gift from my father-in-law, brother-in-law, and sister-in-law!